The start of Summer is a good time to start thinking of activities for your kids. 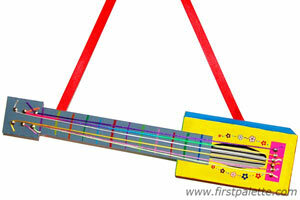 A lot of fun can be created by making their own toys or board games out of recycled materials. If your child is already becoming bored and asking for things to do, these craft ideas can help you out. 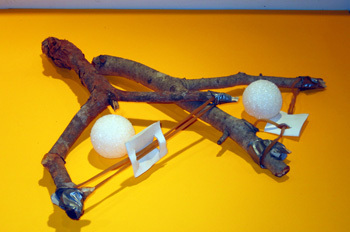 Of course, I’m loving this craft idea for making slingshots with Y branches. Your child can use these to sling light weight Styrofoam balls for some safe fun. You may even want to make a target out of cardboard for your child to aim at. The easy tutorial by Kabubble details the craft and gives a couple of options for materials. These binoculars are easy to make out of paper tubes. What child wouldn’t enjoy romping around in the backyard searching for animals in the bushes or watching the birds in trees. 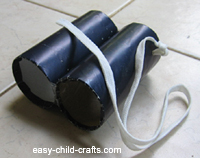 They will feel like a true explorer with these binoculars that they can make themselves. Think of how much fun this guitar would be to make and play. This idea by First Palette uses a tissue box and strings or rubber bands for the recycled part and just a few additional craft items to complete the craft. Once made, your child can rock it out and feel like a star! Of course, for a full out band, there are a couple more items that you can make. A drum to bang on can be made for a friend. 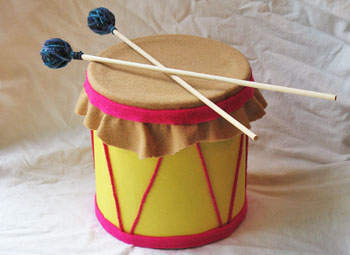 Kaboose.com has come up with a great tutorial showing how to make a fun drum out of a coffee can. 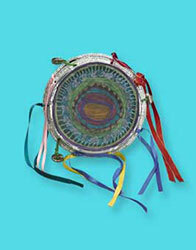 And, how about a tambourine made out of pie plates? Crayola demonstates just how easy it is to complete this musical instrument. Tambourines are fun to shake and can be decorated in many ways. This craft can also be made with paper plates which most people have on hand. Did you ever notice that when a small child receives a birthday or Christmas gift in a large box they end up playing more with the box than the actual gift? 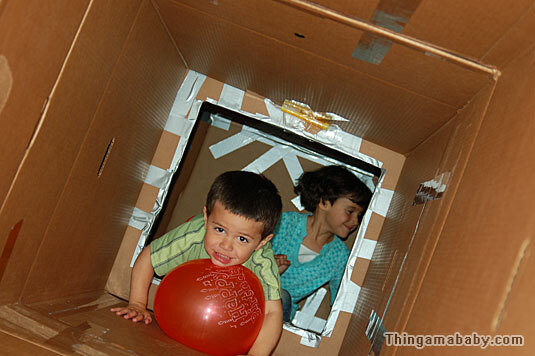 I used to save large boxes, when my kids were small, to play in and build forts. This idea by Thingamababy.com shows some great ideas for a child’s fort. You can go as far as you want to with cut out doors and windows, maybe some carpet remnants and drawn on or fabric curtains. However, just the simple boxes are sure to provide hours of fun. An oldie but goodie is to make stilt walkers out of a couple of coffee cans and some long rope. You can find the complete instructions from Canadian Living. This easy craft project, making a bowling pin set, was put together by Simple Kids Crafts. Watch this video to see just how easy it is to turn some yogurt bottles into a fun bowling game. You could also use plastic soda or water bottles.